Before an agent starts an insurance career in Group Insurance, they must understand what it is and how it works. Group Insurance plans are sold to businesses as employer sponsored benefits. There must be an employee/employer relationship with a minimum of two full-time employees to provide this type of coverage to a business. An Employer will generally provide group benefits to attract and maintain quality employees. 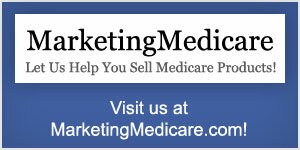 These group insurance plans may include medical, dental, vision, disability and life. Why Choose an Insurance Career in Group Insurance? Many agents choose an insurance career in group insurance because the premiums and commissions are higher than most personal lines of coverage. Since group policies deal in bulk, providing coverage for all the fulltime employees, the commissions are paid on many policies at one time. These commissions are usually paid on a monthly basis as long as the company remains active and continues to pay their premiums. 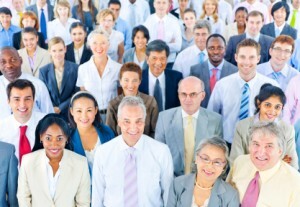 Agents with a job in group insurance must obtain licenses in life and health insurance. With both of these licenses, an agent is allowed to sell multiple types of policies, which increases his/her bottom line. Who Would Excel at an Insurance Career in Group Insurance? Those interested in a group insurance career need to be self-motivated and thrive in a fast-paced and dynamic environment. To be successful, an agent needs to learn the ins and outs of the policies they are selling and work to understand and listen to the specific needs of their clients. Agents must be proactive and have good marketing skills to succeed. The group insurance industry is very competitive and service-oriented, as clients request for the agent to shop and compare for better rates every year. There is usually no requirement that those looking for a group insurance job need to hold a college degree to obtain a license. However, an agent must prepare for and pass a state exam to obtain both Health and Life Insurance licenses before starting to write business. In some states you may need to register your fingerprints. The section below outlines how to get started in an insurance career selling group insurance. An agent in a group insurance career is required to obtain Health and Life insurance licenses from the state that he or she wishes to sell policies in. The following is a short list of the basic process of starting an insurance career in group insurance. Complete Pre-Licensing Education: Learn the rules and regulations of your state’s insurance industry. You may be required to attend classes, but some states allow you to study at your own convenience. You will be issued a certificate for completing these state certifications and at that point you are permitted to take the state exam to become licensed as a Group insurance agent. Take the State Exam: Contact your state’s insurance department to find information on your state’s requirements and local testing centers. In addition to the self-study option, there are in-person and online schools/courses that you can attend. Once you have completed the course, bring the course completion certificate to the testing center on the day of your exam. After you have successfully completed the state exam and paid the licensing fees, you are then issued a Life and Health License. Buy Errors and Omissions Coverage: As an individual insurance agent, most carriers require you to have Errors & Omissions insurance. This liability policy protects you and your career against financial loss related to your involvement in the sale or service of an individual insurance policy. Get Established: Getting started in Group insurance is more difficult than most insurance careers because there are a lot of sales, regulations and servicing skills needed to be successful. In truth, more people begin their career in this field working with a mentor. To start selling Group insurance you can either decide to work for a company as a captive agent or choose to work through a broker. Many agents find that working through a brokerage firm typically provides greater opportunities for success because they can offer multiple carriers. This helps agents to shop for the best options for their clients, which results in high customer retention. Get Started: Your insurance career starts NOW! 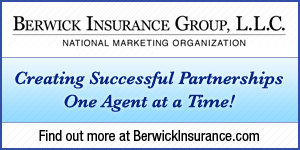 Contact us to launch your career as a Group Insurance agent today.